Eight Maritime based players including five from Halifax will be fighting for places in the Wanderers squad. 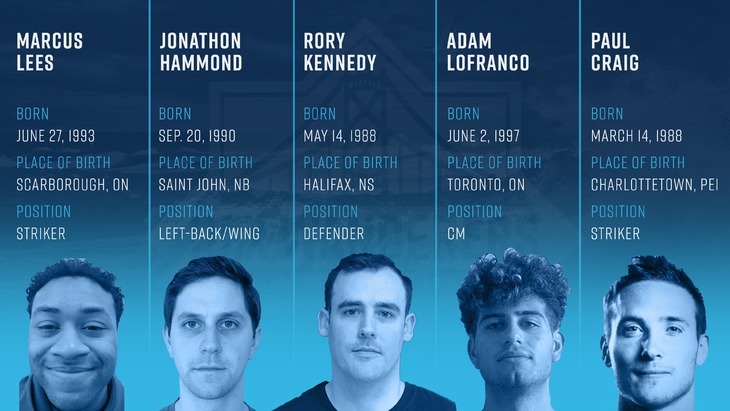 HFX Wanderers FC have released a list of fifteen players who will be fighting for the final places in head coach Stephen Hart’s squad. 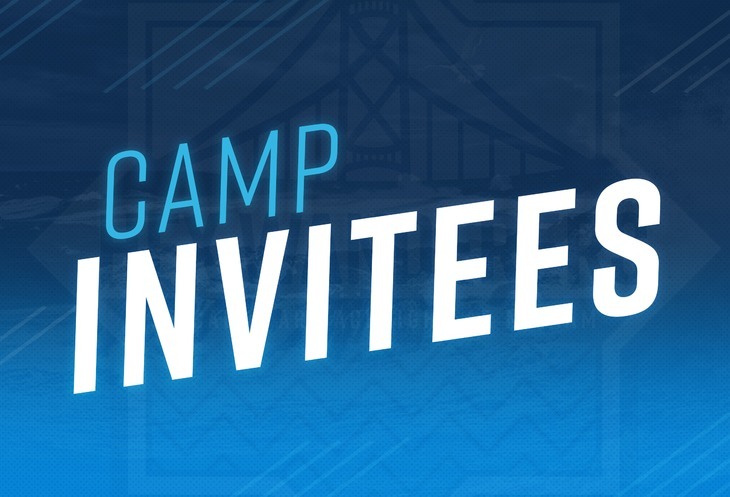 Competition will be fierce as the preseason camp invitees will be asked to show what they’ve got in games over two days, to try to make it onto the Wanderers roster. They’ll be tested in matchups with and against the players who have already been signed by the club, at the beginning of the Wanderers training camp. There’s a strong Maritime flavour to the trials, with eight of the players coming from Atlantic Canada and five from Halifax. 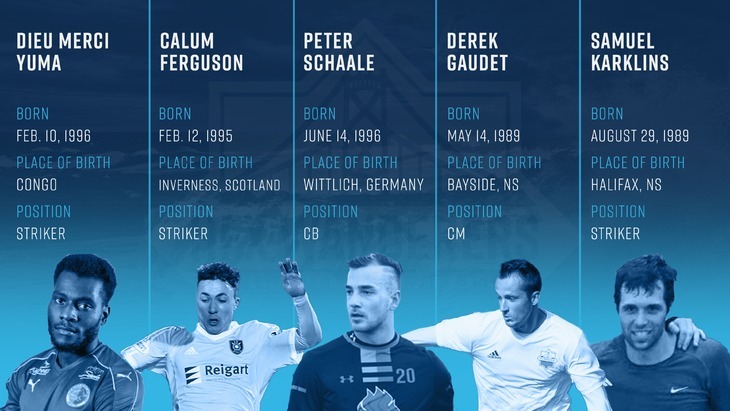 Others will travel from further afield on their own dime, with the dream of making it to the Canadian Premier League, including one from Scotland and a number from Ontario. The teenage prospects Hart is referring to are Halifax-born Luke Green and Suliman Elromani, who are both 16. Green has caught the eye of the Wanderers staff playing in midfield and defence for Suburban FC and Nova Scotia. Elromani has forced himself into the reckoning from performances on the wing for Halifax Dunbrack. He was also identified as a future prospect by the CPL coaches at the Got Game trials in Halifax last year. 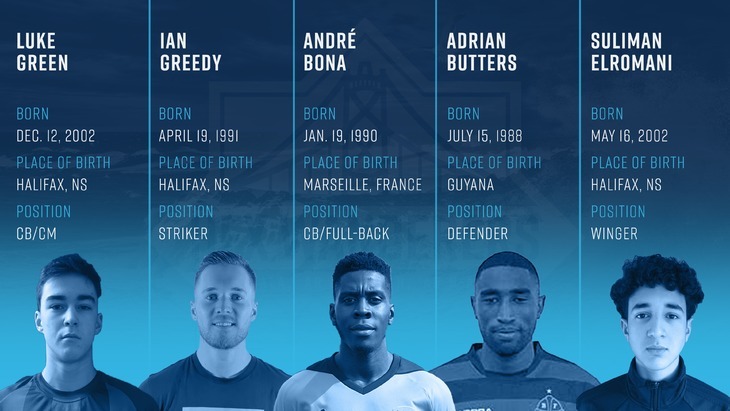 They’re the youngest of a group which includes veterans such as former FC Edmonton striker Paul Craig from Prince Edward Island, Adrian Butters who has played in defence for Guyana’s national team, and Derek Gaudet who represented Canada at the U-20 level, and played in the Wanderers Atlantic Selects team last summer. “The players all know the situation they’re coming into and they have to be willing to compete at the best of their ability and show they’re ready to play at this level,” Hart said. Sam Karklins, who grew up a couple of blocks from the Wanderers Grounds, will be battling for a place in the squad, after playing for clubs throughout the province. He’s currently a firefighter for Canadian Forces base Halifax. Striker Ian Greedy, who is also well known around the area following spells with Cape Breton University and Suburban FC, is also on the list. Jonathan Hammond, who is originally from Saint John, NB, but starred for Acadia University and Halifax City, will be looking to standout on the left hand side of the pitch. 24-year-old striker Calum Ferguson, who has played in the pro leagues in Scotland, as well as for Canada at U-18 and U-20 levels is making the trip across the pond. As a fluent Scottish Gaelic speaker the forward has a special feeling about the Wanderers, in part because of the club’s motto “Ar Cala, Ar Dachaigh, Ar n-Anam,” which means: “Our Harbour, Our Home, Our Soul” in Gaelic. Both of the University prospects the Wanderers drafted, André Bona and Peter Schaale will also be competing for places. Stephen Hart acknowledges it’s a challenging environment given he will have to cut a number of those invited after two days, but says all the players deserve credit for coming this far. “I’m looking to see how they can come in and where potentially they can fit into the squad, there are a number of spots still available,” he said. The trials will be held behind closed doors at Soccer Nova Scotia on March 4 and March 5. The Wanderers season kicks off on April 28 away at Pacific FC with the home opener on May 4 against Forge FC.